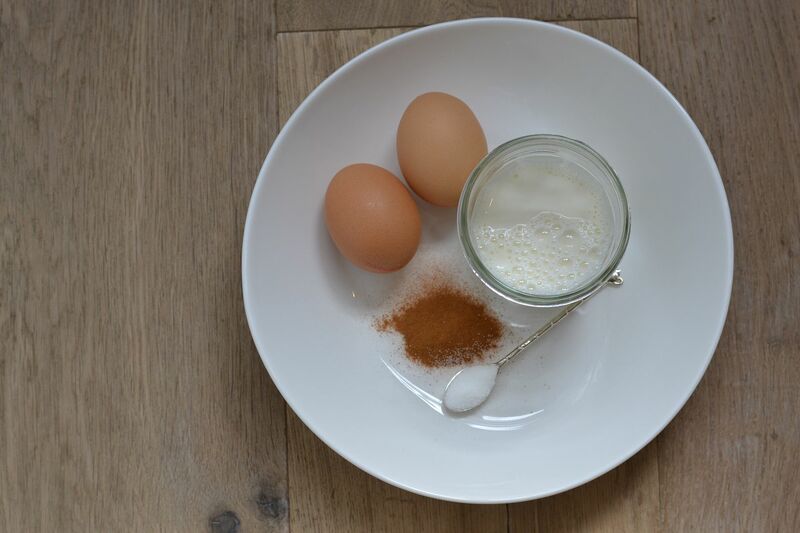 Mix together the eggs with the milk, sugar and cinnamon. Heat up a frying pan (medium to high heat, but not too high) and add some butter to the pan. 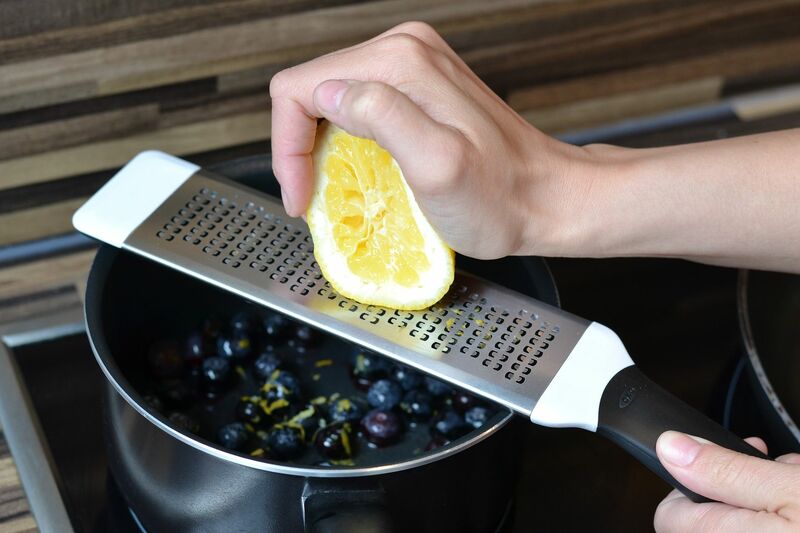 Wash the blueberries and warm them in a saucepan over a medium heat, add the juice and zest of half a lemon and let simmer till it becomes a sauce. Add sugar to your taste. 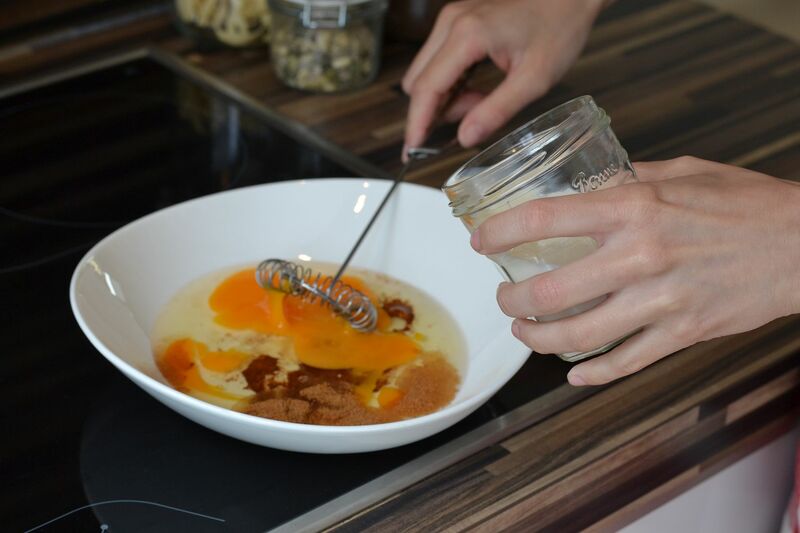 Meanwhile, dip your bread through the egg-mixture and bake in the frying pan till golden on both sides. 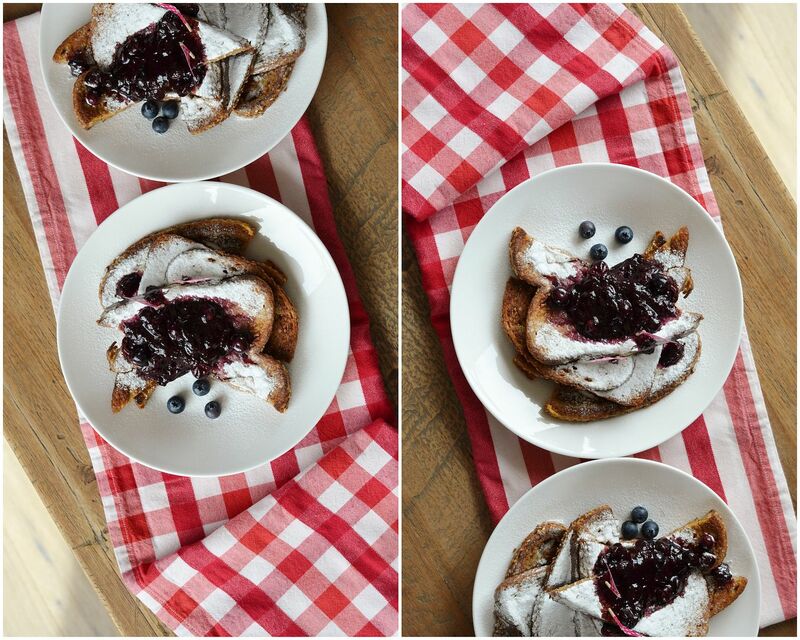 Now put your crunchy french toast on a plate, dust over some icing sugar and top it off with the delicious fruity blueberries. Enjoy!! 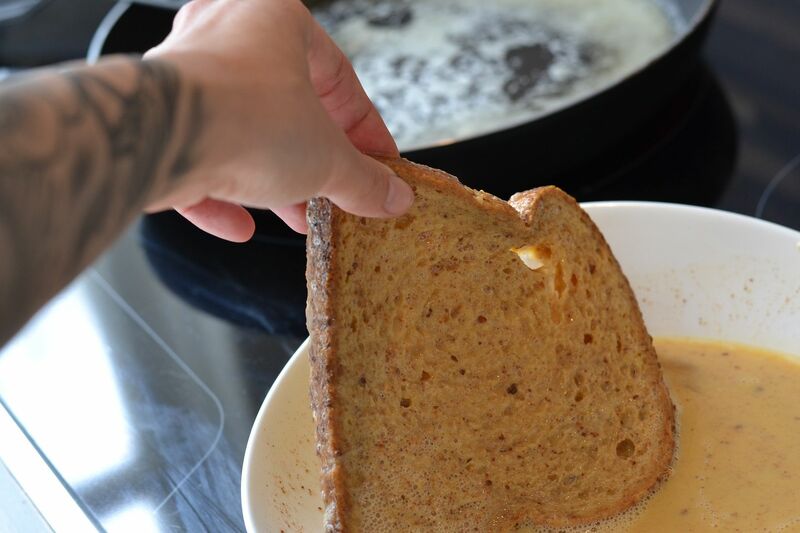 Have you ever tried french toast before? Uw recipes zien er altijd zo goed uit!